KC's Classic Burger Bar is owned and operated by Katie Cerrone. Created to fill a gap in the North Attleboro dining scene, KC's uses a mixture of unique burger flavors and 1950s classic car decor to ensure its customers have a fun and relaxing experience. Katie received her MBA from the Robert H. Smith School of Business at the University of Maryland, and had worked for many years in customer service at her family's car dealership. This mix of business and service savvy is the perfect combination to create the one-of-a-kind dining experience that is KC's Classic Burger Bar in North Attleboro. Gluten-free? Vegetarian? No problem! Substitute a grilled chicken breast, turkey burger or a delicious vegan patty, made right in house from fresh vegetables and black beans, for any of our signature burgers. KC's also serves a House and Caesar Salad with homemade garlic croutons, and a Spinach Salad topped with crumbled bacon, blue cheese, hardboiled egg and red onion and tossed in a warm bacon vinaigrette. There is definitely something for everyone at KC's Classic Burger Bar in North Attleboro! Walk into KC's and be instantly transported back in time. 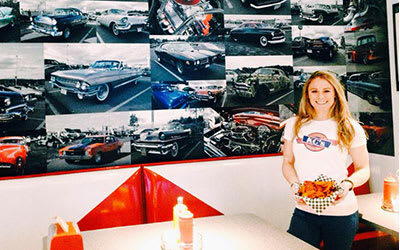 The decor reflects a 1950s style diner themed with classic cars, which KC explains pays tribute to her family's history in the automotive business as well as the overwhelming popularity of classic car shows in the area. 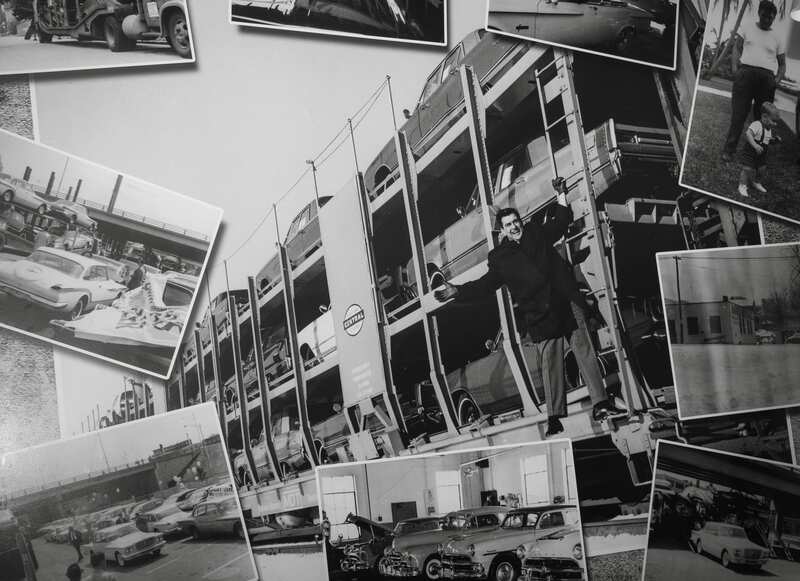 KC's decorative wall murals display pictures of her grandfather Al "Smokey" Cerrone's dealership in East Providence, interspersed with pictures of classic cars owned by local residents. In the newest Seekonk location, find pictures from the famed Seekonk Speedway, which is only a mile away! While enjoying a delicious burger or thick frappe, customers are sure to feel comfortable and relaxed in the family friendly environment of KC's Classic Burger Bar on East Washington Street (Rt 1) in North Attleboro, and Fall River Avenue (Rt 6) in Seekonk.